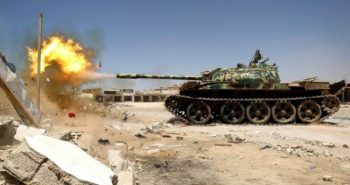 An offensive against Tripoli by the Libyan National Army (LNA) has bogged down in the capital’s outskirts, increasing the risk that the conflict will become protracted. Militias from Tripoli and Misrata are presenting a united front against the Khalifa Hifter-led LNA, whose supply lines from its main base of operations in Benghazi are in danger of becoming overextended. The militias supporting the Tripoli-based Government of National Accord lack a unified command structure, giving Hifter the opportunity to peel individual units away from the GNA’s defense. Prospects for the U.N.-sponsored conference planned for April 14-16 to negotiate a national unity government appear dim, but both sides retain an incentive to control valuable territory in Libya’s west should dialogue restart in the future. The conflict in Libya has entered a new phase. 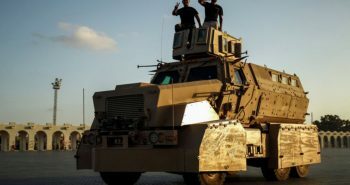 Field Marshal Khalifa Hifter has sent his Libyan National Army on the offensive in Tripoli, sparking open warfare with the competing Government of National Accord (GNA) for the first time in about four years. 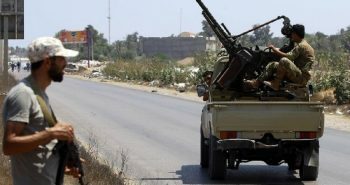 After Hifter announced his offensive on Tripoli on April 4, the LNA quickly seized control of Garyan, a city about 80 kilometers (50 miles) south of the capital, and Tripoli International Airport. Its advance, however, quickly bogged down, and in subsequent fighting, it lost control of the airport to GNA-aligned militias. After four years of a cease-fire among Libya’s rival factions, open conflict has returned to Libya. 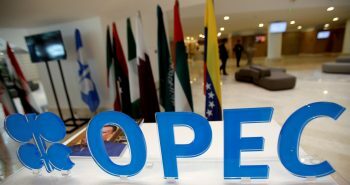 Fighting surrounding Tripoli has not yet affected Libya’s oil production, but a protracted conflict would make it more likely that the Libyan National Army will take the country’s oil exports offline to try to starve the Government of National Accord in Tripoli of a major funding source. If the fighting drags on, the risks of a return to a full-on civil war increase. With their forward progress halted, it’s unlikely that Hifter’s forces will be able to take full control of the capital any time soon, leading to a high probability that the battle will become a protracted affair. Here are some critical points to consider as the conflict continues. 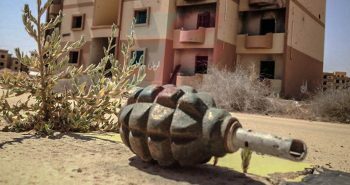 Can the LNA Sustain Its Operations? It appears as if Hifter believed that a surprise attack would have allowed his LNA to consolidate control of key positions in Tripoli before the disparate pro-GNA militias could coalesce and respond to his offensive. Hifter had also likely hoped that alliances with some local forces would have helped the LNA hold territory and sustain its offensive, given his army’s success in following this pattern as it spread south and east from its strongholds in eastern Libya: It would move in quickly to seize territory, then secure support from local allies to help hold it. But this strategy will not work in Tripoli. The militias from Tripoli and nearby Misrata, which is also pro-GNA, are the most well-trained and best-equipped opposition that the LNA has faced thus far. 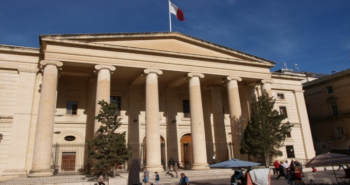 The Misratan militias, for example, possess caches of arms and equipment that they confiscated from the army of former leader Moammar Ghadafi during Libya’s 2011 civil war. They have also been provided with additional support and training over the years as they helped fight Islamic State militants. After all, it was Misrata’s al-Bunyan al-Marsous militia collective, not Hifter’s LNA, that defeated the Islamic State in its stronghold of Sirte in 2016. And because the fighting is in their backyard, those militias do not have long supply lines to protect, freeing their forces to move quickly as necessary. For Hifter to find success in this conflict, he will need to figure out how to protect his forces’ supply lines, which stretch across hundreds of kilometers of desert to his base of operations near Benghazi. The LNA’s biggest weakness had been the size of its forces relative to the large swaths of territory that it tries to control across Libya. 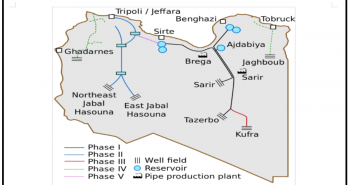 In an offensive earlier this year to seize oil fields in Libya’s south, Hifter could rely on air power to quickly target and disperse the small militias fighting the LNA, bypassing the need to protect long supply lines. But this strategy is unlikely to work in an urban environment such as Tripoli, where Hifter must rely on his ground forces and the local allies that his forces cultivate. This leaves the LNA’s lengthy supply line vulnerable to attack. The key conduits along that route are in Jufra, in central Libya, as well as Garyan and the Tripoli International Airport, a prize both sides continue to grapple over. 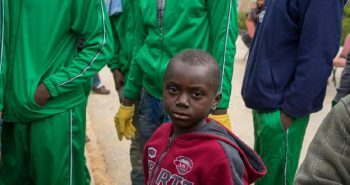 Pro-GNA forces are likely to continue to target those crucial hubs. 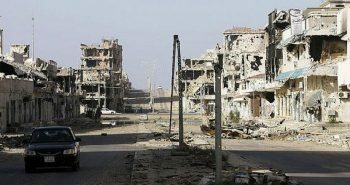 And, with Hifter’s forces stretched thin, rival militias and terrorist groups in the territory the LNA already had seized, such as in Benghazi, will have the opportunity to regain a foothold. Any significant fighting that develops in these areas would limit Hifter’s ability to maintain operations in Tripoli. 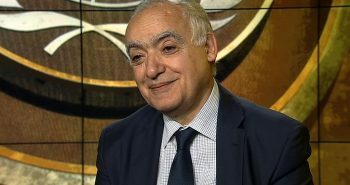 Can the GNA’s Protectors Stay United? 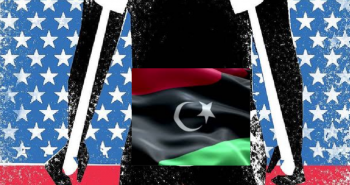 Internal divisions have riven the Government of National Accord and its Western Libyan allies since the GNA was formed in 2016, with factional fighting occasionally erupting among them. Hifter clearly had hoped that those divisions would prevent pro-GNA militias from quickly organizing to stop his offensive, but thus far, they have remained largely unified. 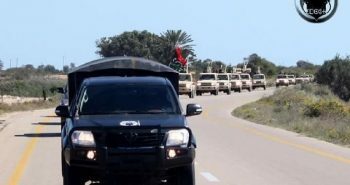 In fact, a few days before the LNA offensive kicked off, the Tripoli Protection Force – comprising the four major militias in Tripoli itself – announced that it was forming a joint operations room to coordinate the dozens of separate militias stretching between Sirte and the Tunisian border. Thus far, that alliance has held true. As the fighting around Tripoli becomes entrenched, Hifter and his backers will try to peel off elements of those militias and bring them to their side. One key set of groups to watch are the Madkhali Salafists, defenders of an Islamic sect associated with Saudi Arabia. Hifter’s LNA is a coalition of militia groups from various backgrounds, including a number of other Madhkali Salafist militias. Hifter, who talked with Saudi King Salman at an Arab League meeting in March, could be hoping to gain their support for this offensive. A key indicator of his success would be if he won the cooperation of Special Deterrence Forces in Tripoli, also known as the Rada Forces, and the 604th Battalion, which is a member of al-Bunyan al-Marsous. There are also moderate factions and militias in most of Western Libya’s cities that could be induced to support Hifter. What Is the International Reaction? Egypt and the United Arab Emirates have strongly supported the rise of Hifter and the LNA, which France and Russia have also backed to a lesser extent. But the extent of support for the current offensive among the LNA’s foreign backers isn’t clear. The Emiratis, perhaps Hifter’s most aggressive backers, have distanced themselves from the operation, and Egypt would be wary of a battle that could metastasize into another Libyan civil war. The chaos emerging from another full-scale conflict could allow the Islamic State to restrengthen as political crises continue in Algeria and Sudan. But even if Hifter had launched the offensive without their blessing, those governments will not give up their support for him or back the idea of the West pushing against the LNA leader in any significant fashion. This has already played out in Russia’s blocking of language in a U.N. Security Council statement on the fighting directly mentioning Hifter and the LNA. But as the conflict evolves, the West — and Hifter’s backers — will weigh in on one side or another. Hifter launched the offensive just 10 days before the National Conference planned for April 14-16 as a part of the U.N.-led dialogue process. It appears as if he launched his offensive in hopes of securing significant leverage in the dialogue. But now it is unclear what will happen next in that process. 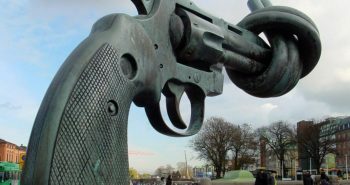 The United Nations still plans to hold the conference. 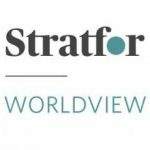 But while rival parties may have been willing to negotiate with Hifter before, his offensive is likely to entrench opposition to any significant concessions to him as the fighting continues.